Moen YB8807CH 90 Degree Cabinet Knobs and Drawer Pulls, Chrome by Moen at Wakaf Center. MPN: YB8807CH. Hurry! Limited time offer. Offer valid only while supplies last. YB8807CH Finish: Chrome Features: -Drawer pull.-Provides a lightly brushed warm grey metallic look. 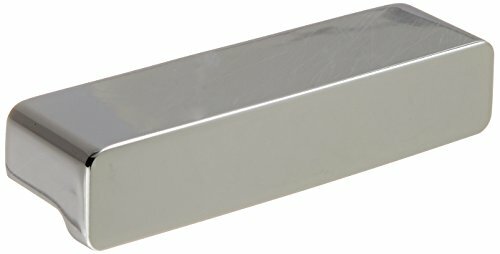 Dimensions: -Dimensions: 4'' H x 1.2'' W x 2'' D.
YB8807CH Finish: Chrome Features: -Drawer pull.-Provides a lightly brushed warm grey metallic look. Dimensions: -Dimensions: 4" H x 1.2" W x 2" D. Collection: -90 Degree collection. Warranty: -Limited lifetime warranty.